Limoges has a unique artistic and religious history, shaped by its many landmarks. 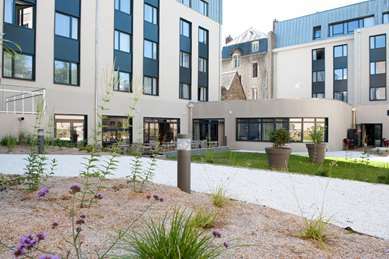 Discover France’s Limousin region while staying at the Kyriad hotel in Limoges. Situated along the banks of the Vienne River, Limoges is the capital of the Haute-Vienne department in the Limousin region of west-central France. With a history dating back to the Roman Empire, the city is well-known for its enamel-covered copper artwork and its 19th-century porcelain. Founded by Emperor Augustus around 10 BC (the city was originally called Augustoritum), present-day Limoges is a patchwork of different settlements whose histories intertwine over the centuries. The centre of Limoges, a short drive from the Kyriad Limoges South Hotel, was a fortified settlement which protected early inhabitants from invasions by neighbouring peoples. The construction of the Abbey of Saint Martial in the 9th century drew more settlers to the city, while the Abbey’s large library helped transform Limoges into an artistic hub in the 11th century. The Castle of Saint Martial became one of the city’s main population centres in the 13th century. During your two-day stay, Limoges’ long history can be uncovered through a tour of its iconic landmarks. Saint Etienne’s Cathedral, in the city centre, is a majestic gothic structure which took six centuries to complete. The Bénédictins train station is another must-see. Built on the site of a former convent, the station’s 61m copper-topped clock tower, stained glass windows and ornate sculptures make it an artistic masterpiece. Finally, be sure to walk across the Roman-era Saint Martial Bridge. A week gives you the chance to discover the more unique aspects of Limoges’ heritage. The Casseaux Kiln is a great place to start. Visitors can learn more about the history of porcelain-making in Limoges, as well as view and purchase pieces from an on-site shop. The Enamel House celebrates Limoges’ other major artistic tradition, with exhibitions and training sessions on enamel-making. The Arts and Crafts Centre displays masterpieces of local producers. Limoges offers many outdoor activities for your family vacation. The Evêché Gardens in the city centre cover 5 hectares and have tree promenades and ponds as well as a botanical space. Just across the motorway from the Kyriad Limoges South Hotel, the Limoges Golf Club is a great place to go for a round. For the kids, Limoges is also home to geocaching, a GPS-enabled treasure hunt game through which they can learn more about regional history. Limoges is accessible by rail, road and air. The iconic Bénédictins station provides direct service to Paris, Lille, Bordeaux, Toulouse and Lyon. 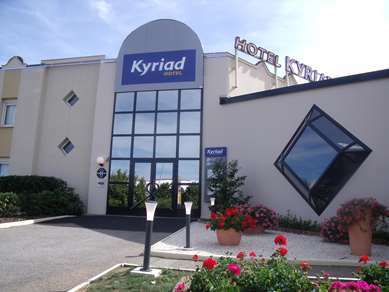 Paris and Toulouse are reachable via the A20 motorway, which sits next to the Kyriad Limoges South Hotel. The Limoges – Bellegarde Airport offers flights to Lyon as well as to destinations in the UK. Food is very much a part of Limoges’ culture and a number of events throughout the year celebrate this tradition. The “Frairie des Petits Ventres” is held every October and draws crowds to the city’s butcher’s quarter, where local dishes are sold to hungry visitors. Specialities include tripe, crêpes and chestnut cake. The Toques and Porcelain event celebrates Limoges’ culinary and craft-making traditions. As a regional centre, Limoges hosts several events throughout the year. “Danse Emoi” is a contemporary dance festival which takes place from January to February at the Jean-Gagnant Cultural Centre and features acts from France and further afield. The Annual Fair of Limoges and Limousin is held in May and draws hundreds of exhibitors. Limoges’ porcelain-making industry was launched in the 18th century by the discovery of local deposits of kaolin. This clay mineral is primarily used to create glossy paper, but it is also employed in the production of porcelain, toothpaste, light-bulbs, cosmetics, paint, rubber, whitewash, organic pesticide and medicines for an upset stomach.